BRUSSELS (Bloomberg) -- The European Union imposed a five-year tariff on aluminum car wheels from China to help German, French, Italian and other EU producers compete against cheaper imports, threatening cost rises for automakers. The 22.3 percent duty punishes Chinese exporters including YHI Manufacturing (Shanghai) Co. and Zhejiang Wanfeng Auto Wheel Co. for selling the wheels in the 27-nation EU below cost, a practice known as dumping. Car manufacturers including BMW AG, the world’s biggest maker of luxury autos, and Renault SA use the wheels. European aluminum-wheel producers including Borbet Solingen GmbH of Germany, Francaise de Roues and Italy’s Speedline Srl suffered “material injury” as a result of dumped imports from China, the EU said in a decision Monday in Luxembourg. 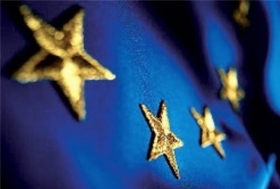 The five-year levy is higher than a provisional duty of 20.6 percent introduced in May and will take effect after publication in the EU Official Journal by Nov. 11. Chinese exporters doubled their combined share of the EU market for aluminum wheels to 12.4 percent in the 12 months through June 2009 compared with 2006, according to the bloc. The EU said the benefits of the anti-dumping duty for European aluminum-wheel producers outweigh the disadvantages for carmakers. With aluminum road wheels representing about 1 percent of the cost of a car, automakers face a maximum cost increase of 0.22 percent, according to the EU. Europe accounts for about 10 percent of China’s aluminum-wheel exports and demand from carmakers would be hit were the EU anti-dumping duty above 25 percent, Eric Zhang, an analyst at researcher Shanghai Metals Market, said in September.